A self-catering break in a holiday cottage has various advantages over other forms of holiday accommodation. Cottages are far more spacious and comfortable than caravans, definitely more private, spacious and versatile than a room in a B&B or hotel. As individuals we have personal preferences about types of accommodation and locations we choose. Walkers often like to concentrate on the walks they can enjoy at their destination and prefer budget priced accommodation, pensioners who do not drive aim to stay in towns and villages near public transport and shops, families and couples often like to base themselves in the country surrounded by green fields and fresh air. People who enjoy being close to nature revel in spotting pheasants and badgers in the garden, rabbits nibbling grass on the verges and dark nights that emphasise the sparkling stars. For them, a country cottage is ideal. 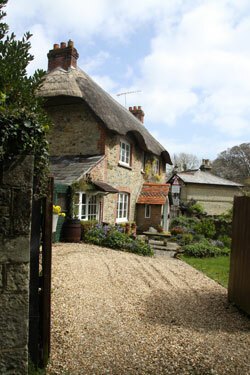 The Isle of Wight has a wealth of holiday cottage and self catering apartment accommodation to choose from. It has been a popular English holiday destination for so long that the tourist industry is very well developed and there is something to please everyone. All the ingredients for a successful summer holiday are there; good beaches, plenty of amusements and places to visit, a wide range of eateries and lovely views. The compact nature of the island means that it is possible to drive to almost any point on the island within half an hour. As long as you have a car, you can stay in the heart of the countryside and yet spend days on the beaches. If you plan to rely on the very good public transport system of buses and trains, research the various towns and villages on the isle of Wight and decide which area has the most things that you would like to see and then look for cottages or apartments to rent nearby. A holiday on the Isle of Wight is highly recommended to families and anyone who enjoys the countryside and exploring villages. Isle of Wight holidays all year round, when best to visit? You may be visiting the Isle of Wight for a seaside break or perhaps a country break? The Isle of Wight can be a year round holiday destination depending on who you are and what you plan to do on the island. Take a look at the possibility of a holiday on the Isle of Wight at any time of year. Each season has its joys and reasons for a holiday on the Isel fo Wight. We would really appreciate your stories of when you consider is the best season to visit.